Full of what could happen in real life and what might become a reaction are the thoughts that fill the pages of this novel, "Stars in the Grass" by Ann Marie Stewart. The book touches on the unexpected loss of a very young family member named Joel. Afterwards, there are the battles of the mind and body which each family member suffers as they try to realign their lives without Joel. There is Abby the second oldest child, who sees the three year old's crib in her bedroom every day until the parents and she realize it's time to remove it. There is the symbolism behind the clocks repaired by the father. There is a memorable snow ball fight between brother and sister. At the same time, new friendships are made, and old friendships become more important. The Bethel AME church scenes are very inspiring along with African American heroines and heroes like Jim Beckwourth and also Native American tribes. There is a wonderful romance between Logan and Mariah. Since Mariah is not bad to look at, she gets a big share of men who come to date her. This part of the novel is very funny.It seems men will do anything to get a woman's attention. There is Reverend Dennis who comes a courting also. My favorite part of the novel is Logan's shopping trip with Mariah Cooper. He has it. So she can pick out all the furniture she wants and also romantic negligees and beautiful jewelry which I wanted to wrap around my neck and put on my ears. "Earbobs, a few necklaces for special occasions. A bracelet or two and oh, a wedding ring." His special name for her is querida. Yes, there is a bit of the Spanish culture in the novel. I am tempted to take a course in the Spanish language and in Spanish Architecture. There are many wonderful places in this novel titled "Deep Water" by Christine Poulson to discuss in a group or ponder alone. There is the terrible death of Jennifer in a car, a lost lab book and the competition of scientists working in labs. To what lengths will scientists go to prove that they are the first to discover or explore something in the human DNA? Then, there is the mystery of research and children's illnesses. For example, the need of Bone Marrow which opens the door to who should give it, why are we thinking of one donor over another donor? The release of new postal stamps on the market is exciting especially if it is your hero or heroine. I've had my favorite stamps. However, I never thought about the stamps which become collector items. For example, where is their country of origin? That's why "The One - Cent Magenta" by James Barron is a very gripping book to read. Some of the collectors know they have a treasure and other collectors like Harry Vaughn, a twelve year old, have no idea what they have in their hands. That makes for eccentric people and pretty ordinary people who choose to become stamp collectors. I have to start with the twelve year old. He paid sixteen dollars and some cents for his magenta stamp. At the exact opposite side of the totem pole is the businessman who walks around with a briefcase chained to his wrist. Inside is the stamp that is a rarity. It's a British Newspaper and a staff mixed up in the politics of Russia. There also are Royals and the famous Faberge eggs. All of this is found in "The Kill Fee" by Fiona Veitch Smith. During the Twentieth Century, there were the White Russians, the good guys, who sided with the British. There were also the Red Russians who wanted a new Russia where the people would have more control. It became very easy for me to learn and recognize the White Russians. It seemed much harder to keep up with the characters on the Red side. Thank goodness for the name chart at the front of the book. If there is any interest in Old Russia, the murders of Tsar Nicholas III and his Tsarina Alexandra and their family, you will like this mystery. Also, if there is any fascination with Rasputin and what happened to him is a reason to fly swiftly through all the pages. While I love Time Travel novels, I didn't know the reason characters did it. In "Yellowstone Heart Song" by Peggy L. Henderson, Aimee falls backward in time to 1810. Her modern life is spent in the time of 2010. Zach Osborne, Daniel's father, is the one who sends people back and forth in time. Zach does it by touching a dried snake head he keeps in a pouch around his neck. What is thought provoking to me is that Aimee feels she needs to time travel because it allows her to "escape reality." This book is very inspiring. From the beginning, I felt curious by the question "what is man?" The question is very intellectual,However, Martin Luther King gives simple answers to the question. There are quotations by John Donne and Shakespeare. Especially meaningful are Martin Luther King's thoughts about the New Jerusalem. It doesn't take long to read the book. It's very short. In the end, it is again about love. Oh my goodness! Why did I choose this story for Friday the 13th? I'm not superstitious. I have a healthy respect for sidewalk cracks, the number thirteen and cracked mirrors. I need to add voodoo on to the short list of superstitions. I don't know much about voodoo. This morning it greeted me in Niyah Moore's novella "Beneath The Bayou." I had to look up the term and try to remember old movies as well. I had heard of sticking pins in dolls. These are little ways of manipulating our world to get our way. It must make the gods unhappy, at least my God to see us putting a skeletal head before a prayer. Zadie Smith is really testing me. One moment I'm in America with the dancing stars Fred Astaire and Ginger Rogers. The next moment I'm meeting the well known people of England whom I don't know. There is my test. These are people I've never heard or read about in my life. Don't worry; this doesn't hinder my reading. It makes my reading of Swing Time more exciting, more fun. Her novel is like bread. It's very nourishing. It's emotional in a dry sort of way. There are paragraphs where I want to remain for a few days. My weakness is that I don't like to stop and underline or highlight my thoughts. After all, you can't highlight or underline the beauty of a rose. All you can do is hold it lightly in your hand and sniff the delicious fragrance. I have a weakness. I love deserts. That means I love sugar. Shame, shame, shame. As a matter of fact, I have an appointment with my dentist tomorrow. While I sit in the dentist's chair, I might think about the Danes. They strive to stay away from sugar. The Lego Company in Denmark "provide workers with free baskets of rye bread, fruit and carrots instead." I also respect the Danes because of their willingness to recycle. I've never been good at recycling either. Our family tried it for a while. It wasn't long before busyness took over our lives causing all the trash to end up in one container. Denmark cares deeply about environmental issues. Obviously, they are thinking of future generations. In The McCullagh Inn in Maine by Jen McLaughlin, Chelsea has led a sad life. For one, her father spent years in prison. Then, she experienced an unhappy marriage with Richard and a guy named Jeremy broke her heart. Now the cartels are following her. Trying to fix up an aunt's inn in Maine becomes quite the ordeal. We follow Chelsea, Richard, her brother, Paul, through hardships. It's not easy for Chelsea to trust again. Who is lying? Who is telling the truth? It's really not easy to fall in love again either. I've had extravagant fun in New York and Paris, France while reading "The Christmas Mystery" by James Patterson. Although I have a deep respect for elderly people, I almost forgot about the horrible murder of the elderly, rich lady. In a way, I wanted to forget her part of the story because the way she was murdered seemed so coldly cruel. The murder is covered very quickly and the murderer found rapidly. I think this is because the author, James Patterson, wanted to keep a light atmosphere for the Christmas holidays. It is a Christmas story shiny with jewels and beautiful paintings and two wonderful characters named Moncrief and K. Burke. 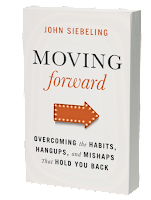 No wonder "Moving Forward" by John Siebeling is so easy to understand. He is a pastor. 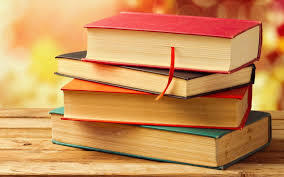 The words in his book are able to make overcoming easier. He gives us a reason for getting up each day. John Siebeling points out the fact that anger, unforgiveness, worry and other unwise choices can lead us away from the best that God wants for us. God in no way wants us to fail. There are tough issues in this e book. I won't name each one. However, I focused on the character, Gertrude. She's an older woman. She would describe herself as kind. However, Royce and Makeena know she isn't that way. She's a complicated woman.